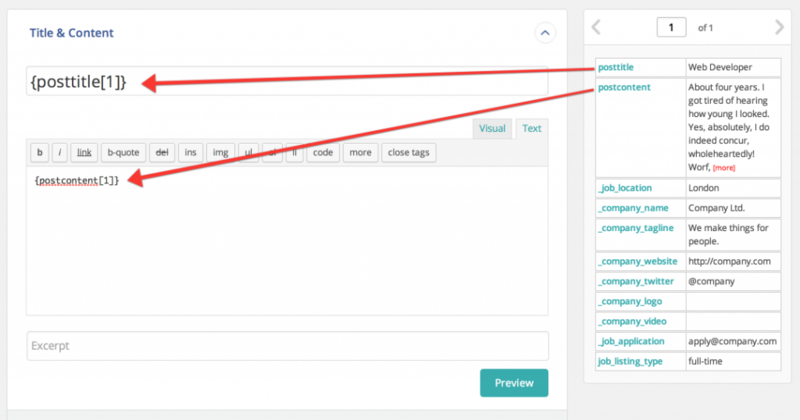 WP All Import Pro allows you to import posts and custom post types (like job listings) using CSV and XML files. 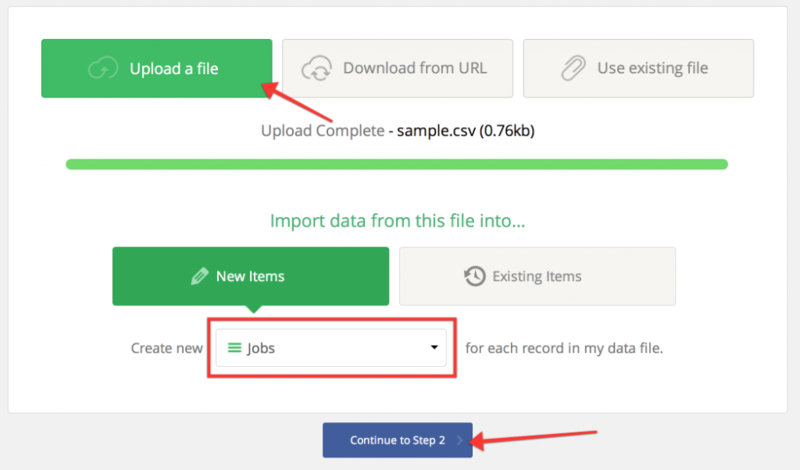 This guide will show the basics of importing from a CSV file. Note: The pro version of WP All Import is required for importing custom fields. 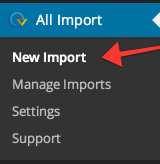 First go to the All Import section and choose ‘New Import’. You’ll then be prompted to upload your CSV file. You should also choose to create new ‘Jobs’ for the items dropdown. Once the file has uploaded successfully it will show you a preview of your CSV fields. You’ll want to continue to step 3 after ensuring it has uploaded correctly and can be read. _filled – Whether or not the position is filled. _featured – Whether or not the job listing should be featured. Continue to the next step where you’ll choose a unique ID (you can use the job title here, or a combination of fields), and then you can complete your import.